We love that Broadway’s original “Dreamgirl,” Grammy and Tony Award-winning Jennifer Hudson is slated to star in this summer’s Duke Ellington musical revue “Sophisticated Ladies.” For its premiere production in Austin, the show will play on the Topfer Stage from July 15 – August 23, 2015 under the direction of Abe Reybold. “Sophisticated Ladies” deftly welcomes audiences to Harlem’s famed Cotton Club in this stylish, brassy musical celebration of Ellington’s greatest musical hits. A full on-stage orchestra backs superb jazz vocalists, extraordinary tap dancers, dazzling deco costumes, and unforgettable torch singers who bring classics like “Mood Indigo,” “Take the A Train,” “It Don’t Mean a Thing (If It Ain’t Got That Swing)” to vivid life in this grand Tony Award-winning Broadway musical. We can’t wait. An actress and recording artist, Holliday’s show-stopping, heart-stopping performance of the torch ballad “And I’m Telling You, I’m Not Going” in the smash hit Broadway musical Dreamgirls introduced her big soulful voice to the world and garnered her a Tony Award for Best Actress in a Musical and her first Grammy Award for Best R&B Female Vocalist. 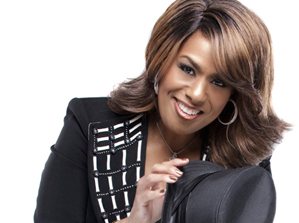 She won a second Grammy for her memorable recording of Duke Ellington’s sacred “Come Sunday.” Over the years, Holliday has worked and recorded with many other major artists including Barbra Streisand, Luther Vandross, David Foster, Paul Simon, Michael Jackson, and Jennifer Hudson and continues to perform all over the world with leading symphony orchestras in concert.